Please note, prices shown are estimates based on average customer requirements. 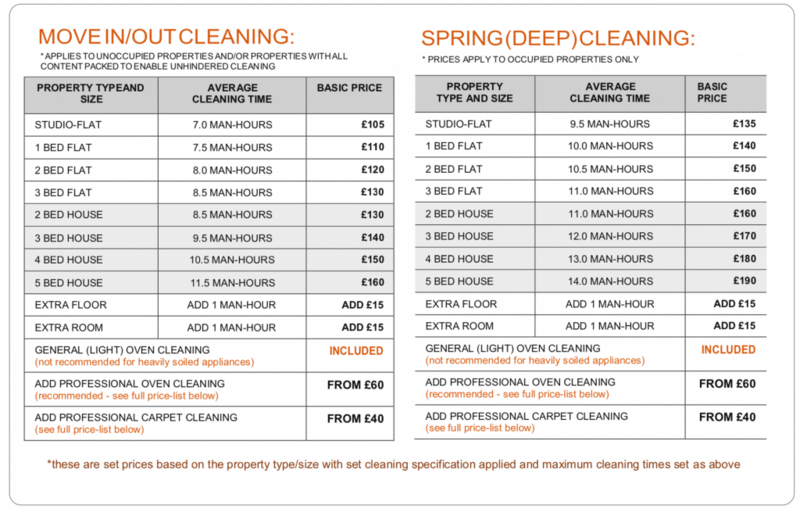 Occasionally, actual prices for ONE OFF and MOVE IN/OUT cleans may be slightly lower or higher if the level of cleaning required is significantly lower or higher. As part of the booking process we will ask you a number of questions relating to the size and layout of your property as well as the level of cleaning needed. Based on your answers and our experience we can estimate how long it will take to clean your home. Our estimates are normally very accurate but your cleaner will let you know if they feel the description does not match the needs of the property.